There is a low but increased risk of flooding this weekend across the whole of England, as isolated torrential downpours are predicted. The Environment Agency is monitoring the situation closely in case things change and will have teams ready to respond 24/7. 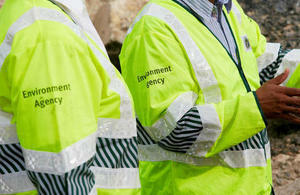 It is also supporting local authorities who will respond to any reports of surface water flooding.